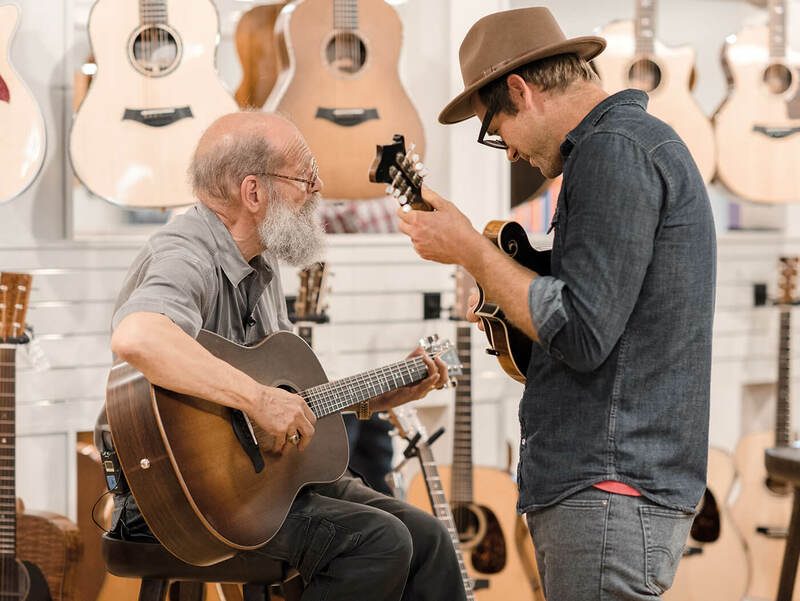 In late 2017, when Taylor Guitars wanted to show a small group of guitar journalists its latest innovation, the company chose Carlsbad, a 35-minute drive north of downtown San Diego and home to Andy Powers, the master luthier and polymath to whom the creative torch has been passed from Bob Taylor himself. Bob’s concerns now stretch way into the future as he immerses himself in sustainability projects separated by over 10,000 miles in Hawaii and Cameroon. And while Bob devotes his time to ensuring there’s wood for tomorrow, Andy works with the timber of today to design the finest instruments in the company’s 45-year history. The airy barn that houses Andy’s home workshop was the perfect environment in which to introduce the V-Class system. Within earshot of the surf that Powers was staring into when he experienced the Damascene moment that inspired his revolutionary bracing system, we heard its exceptional projection and sustain – and truly remarkable intonation – for the very first time. Yet although the modernistic and ornate Builder’s Edition K14ce was chosen as the instrument in which V-Class bracing would make its debut, it wasn’t the first guitar that Powers had in mind when he set about reworking the internal architecture of the flat-top acoustic guitar a couple of years earlier. Even as people were being wowed by the K14ce in the packed Taylor booth at the Winter NAMM Show in January 2018, in a side room away from flashbulbs and live-streaming video, a handful of people were shown a slope-shoulder prototype that was a very different guitar indeed. Fast-forward to September 2018, and that guitar had a name. In short, if you think you aren’t a fan of ‘the Taylor sound’, don’t close the tab just yet. While the cutaway-equipped Builder’s Edition K14ce Grand Auditorium is Taylor in excelsis, the Grand Pacific has been crafted with an affinity for the crackle of vinyl records and an appreciation for an altogether older and more elusive steel-string acoustic sound. 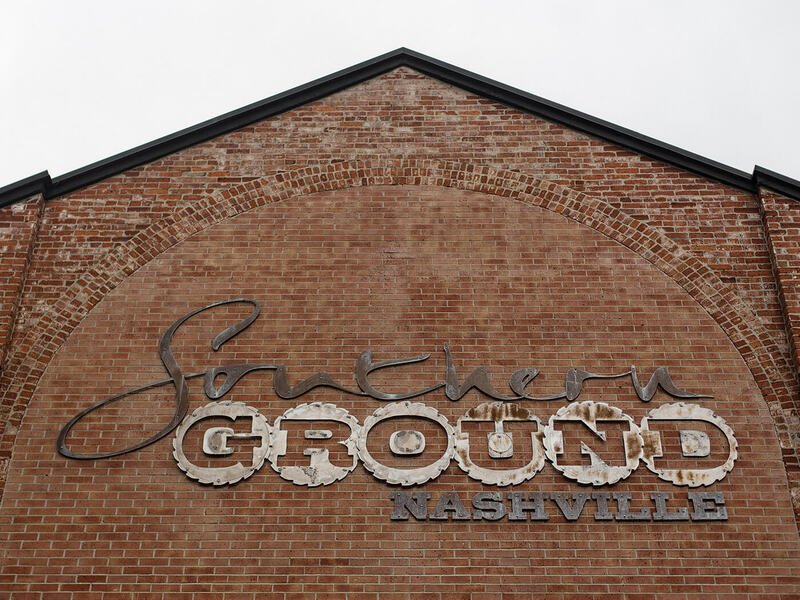 Although the ocean features in the Grand Pacific’s name, Taylor Guitars chose to fly four hours east to Tennessee to unveil its new body shape to the guitar press in the Zac Brown Band’s Southern Ground recording studio in Nashville. A city where songs have long been currency makes perfect sense as a location when Andy begins to explain how he arrived at this new take on the round-shoulder dreadnought format. “I thought, well, there’s all these sounds that I’m familiar with, that I love,” Powers recalls. “I hear them on old records, I hear them on the music I grew up with – country-rock from Laurel Canyon and bluegrass. My dad, being a carpenter, would listen to bluegrass and country music all day long. You knew you could go through about four records between a morning, coffee break and lunchtime, you get through five in the afternoon. It paces you well, it accompanies you, it’s a way to get through your life. So I grew up with this kind of music in our house, and working with my dad. I’ve dug more than my fair share of ditches listening to the The Louvin Brothers! And build a guitar he did. Taylor’s vice president of marketing Tim O’Brien jokes that they “spent a year debating” whether the Grand Pacific is a dreadnought or not. “It’s about the size of a dreadnought,” says Andy. “It’s kind of shared in that bloodline, if you squint your eyes just right! But it really is a type of guitar that hasn’t really existed before in this way. So it’s loosely a slope-shouldered guitar. The elegant simplicity and symmetry of the Grand Pacific body shape immediately lends the instrument more of a blue-collar vibe than many high-end Taylors. 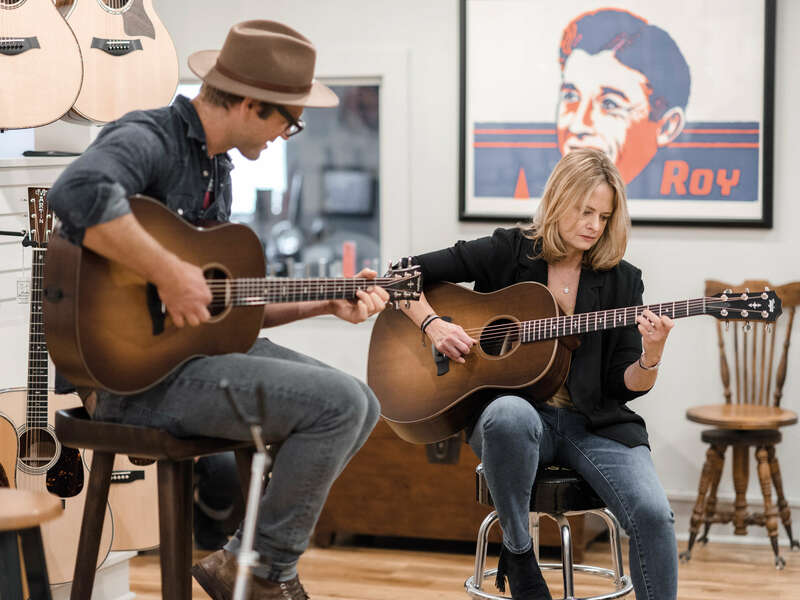 Although it’s now standard on all of Taylor’s El Cajon-made Grand Auditorium models, V-Class bracing debuted on one Builder’s Edition instrument with a five-grand price tag. The Grand Pacific body shape has been made more accessible from day one by including the sapele/spruce 317 (from £1,919) alongside a pair of Builder’s Editions – the mahogany/torrefied Sitka spruce 517 (from £2,999) and the rosewood/torrefied Sitka spruce 717 (from £3,179). The V-Class bracing system isn’t just about making an acoustic guitar shout louder and longer, it can also be used for control, and in this case, to tame some of the less-desirable characteristics associated with a particular body shape. While a dreadnought delivers more bass and bottom-end thump than a narrower-waisted design, this can often manifest itself as an overpowering plosive that causes problems for sound engineers. “A typical dreadnought builds low-end emphasis at the expense of the middle- and high-register notes,” says Andy. The result is a guitar that delivers warmth and familiarity without getting swamped by bass, and retains clarity without the more clinical-sounding precision of a Grand Auditorium. 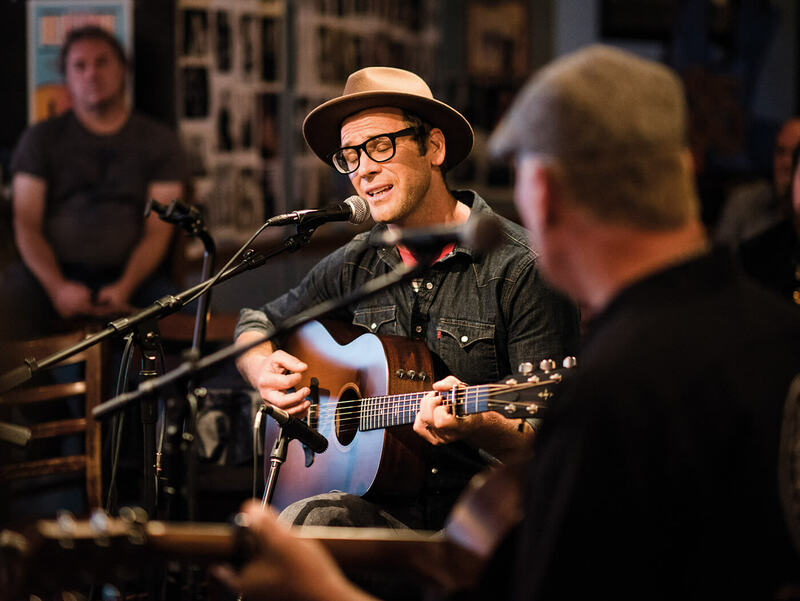 It’s a sound that immediately proves popular with the assembled journalists in the fabulous live room at Southern Ground, where even the figured koa flooring was supplied by Taylor, repurposed from seconds deemed unsuitable for guitars. 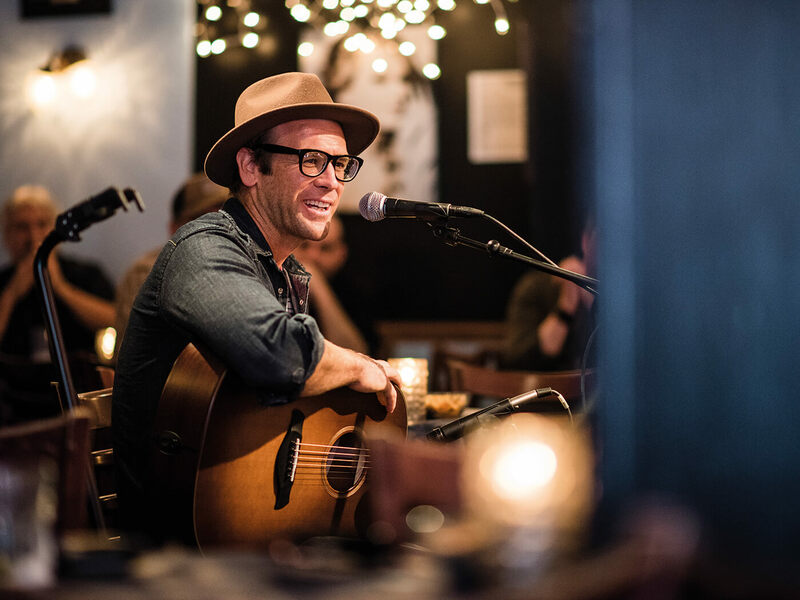 In an impromptu acoustic jam, we notice the contrast between the 517’s mahogany and 717’s rosewood back and sides provides two distinct accents in the Grand Pacific’s vocabulary. With the drier-toned mahogany guitar taking the lead role and the rosewood the rhythm, it’s a particularly pleasing combination. 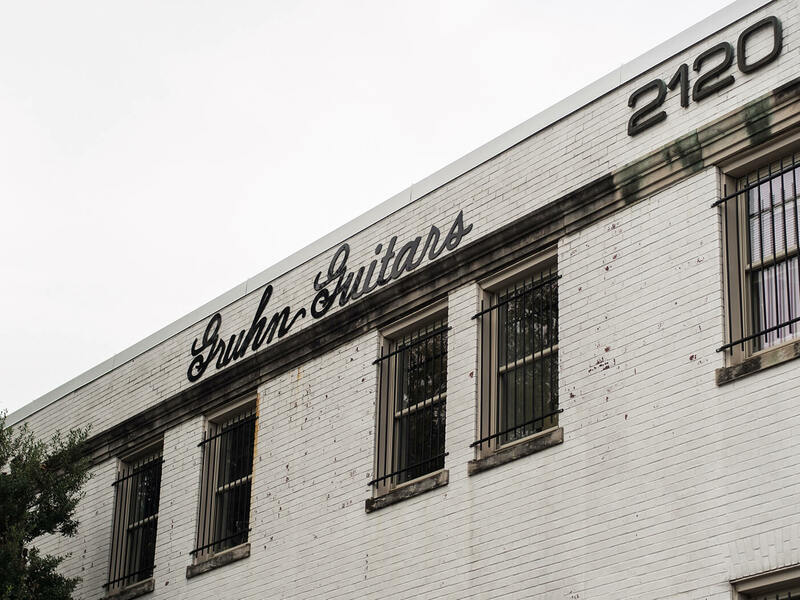 After spending some time with the guitars at Southern Ground, we head a couple of miles south to the legendary Gruhn Guitars store, where Grammy-winning banjo player/guitarist/producer Alison Brown ably assists Andy in demonstrating the Grand Pacific in the context of a series of duo performances. 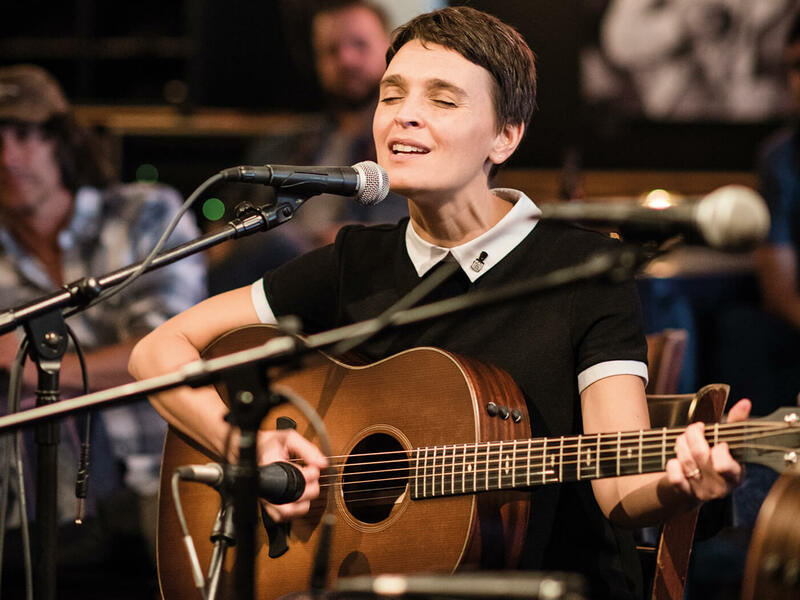 “The guitar felt so alive it felt like it was going to jump out of my hands,” says Brown of her first encounter with a V-Class Taylor. Powers describes George Gruhn as “one of the patron saints of guitar”, and the famed guitar dealer and historian is a fan of Andy’s work. Gruhn’s unique taxonomical approach to categorising the instrument came from a passion for zoology; his doctorate in the psychology of animal behaviour at the University Of Tennessee was abandoned when Hank Williams Jr came calling in early 1969, having heard that the young student had lots of old Martin guitars. 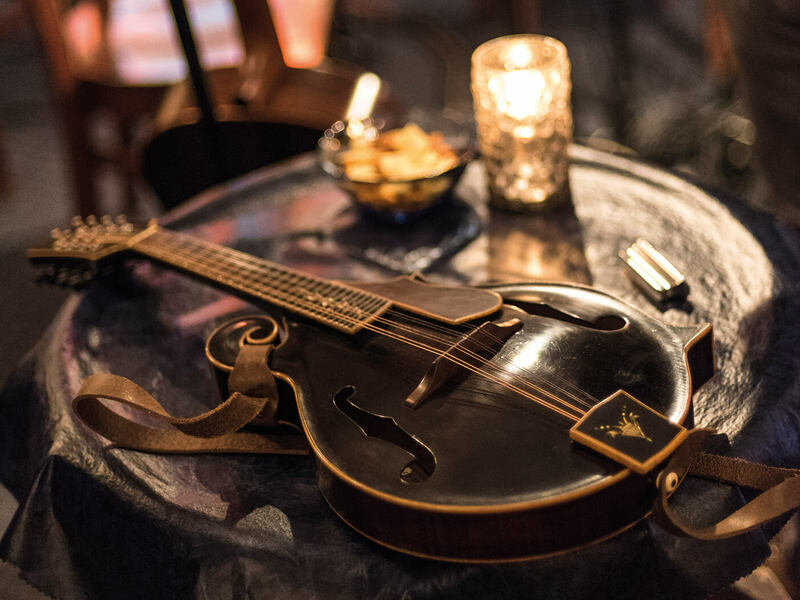 “It’s not simply about old instruments,” says Gruhn, “because what makes an instrument good is not simply whether it’s old, or rare. My father was a pathologist and there are plenty of stories about him being delighted when making an extremely interesting diagnosis, but often, this diagnosis was not good news for the patient! In general, instruments that are extraordinarily rare are rare for a reason. It was a commercial failure, at least when it was it new. Even some fabulously good instruments were commercial failures when new. On Andy specifically, George is similarly complimentary: “I’m impressed with the depth of knowledge that Andy has. We were able to talk about harpsichords and violins and mandolins and viola da gambas and lutes and virtually anything else… he knew them, and he understood what makes them tick and the history of these instruments. When it comes right down to it, what makes a guitar good is not how old it is, it’s first and foremost the design. Addressing Powers directly, Gruhn says: “You understand design. You understand all of those aspects and how to do it in a factory setting in quantity. But you also understand the tradition, how we got here, what does work and the pathology of old instruments. So you know what fails. If you see the patterns repeatedly… you stop doing that! You don’t have to do everything in the way it was done 50 or 100 years ago, if you see things that consistently fail. “When you are designing a new guitar you can look at all the evolutionary history and you can see which organ systems fail at what point. We don’t use the same kind of plastic that we know rots… and that’s why all those 60s Gretsches need rebinding. And now even D’Aquistos do. So you don’t do that. You have a wealth of knowledge that you are actually applying. 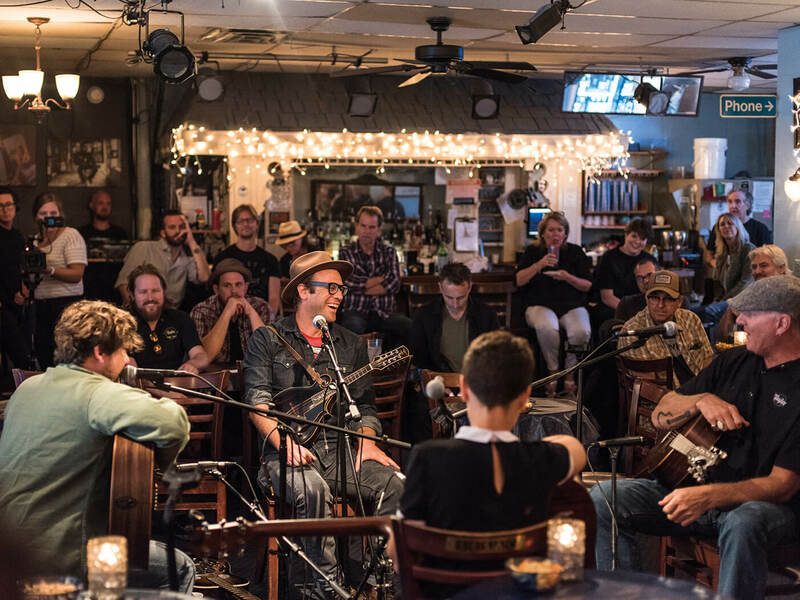 Later, we head from Gruhn Guitars to Nashville’s legendary Bluebird Cafe, the intimate 90-seater venue where Garth Brooks was signed after a showcase performance in 1987 and where the likes of Taylor Swift, Keith Urban and a host of Nashville’s biggest stars have appeared over the years. 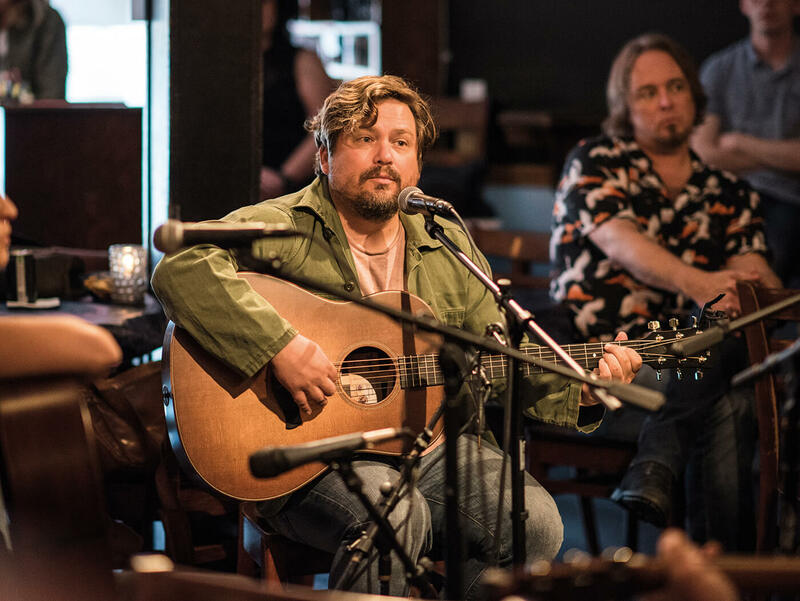 Inside, we’re treated to an in-the-round performance hosted by Andy Powers alongside Nickel Creek’s Sean Watkins, singer-songwriter Sarah Masen and former Taylor product-specialist-turned-solo-artist Michael Lille. When not taking the lead role, Andy effortlessly sits in on mandolin and slide to provide accompaniment. The feelgood atmosphere sees songs punctuated by stories and laughter and it’s precisely this kind of warmth Powers sought to evoke when designing the Grand Pacific. By the end of a long and enjoyable day, first impressions suggest the Grand Pacific might just be that elusive best-of-both-worlds flat-top. 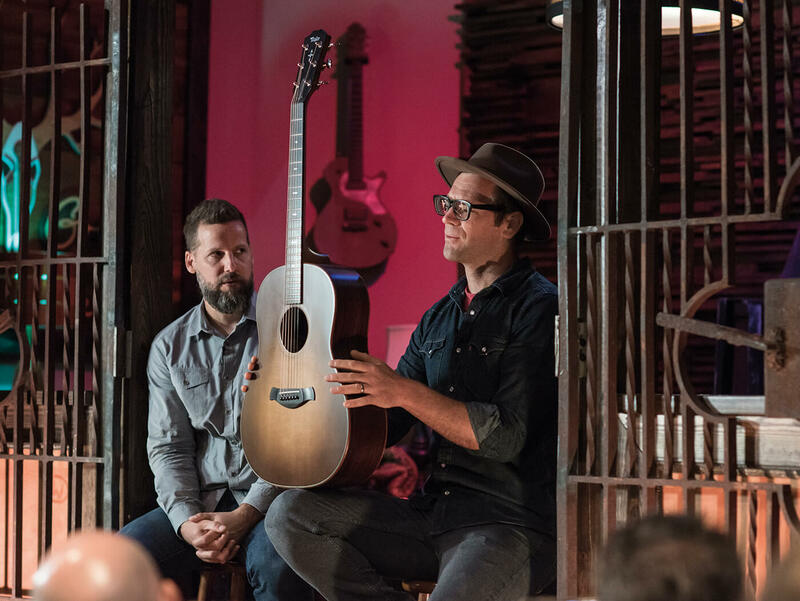 With all of the benefits of a modern Taylor – precision manufacture, tuning stability and environmentally conscious materials – the Grand Pacific’s sound has a warmer, less crystalline hue and more of an old-time drawl in its voice. We’d call that a job well done. 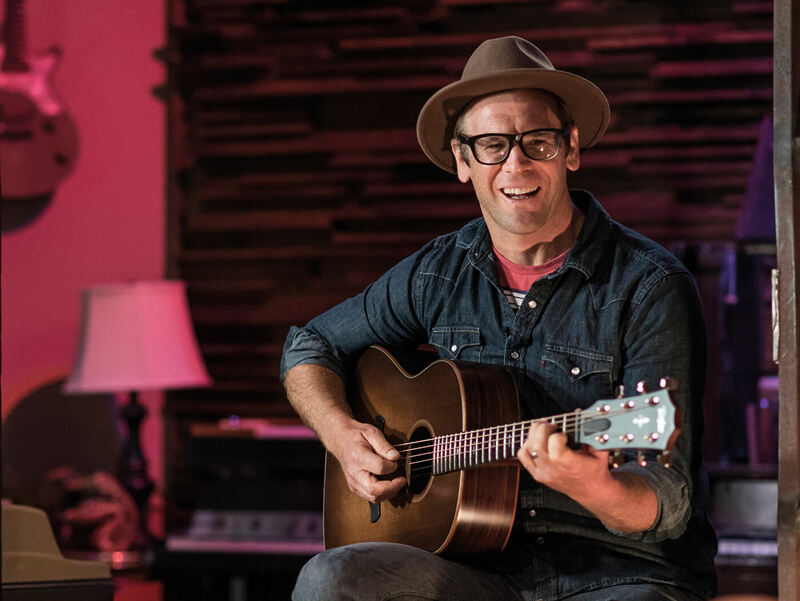 Read our review of all three of Taylor’s new-for-2019 Grand Pacific instruments here.